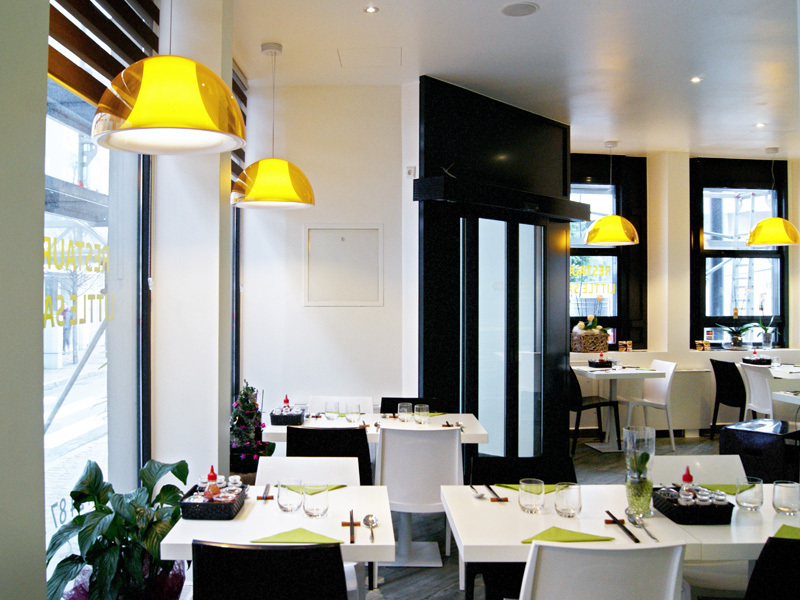 Little Saigon, located within the corner of the Russian square around New St.Petersburg opened in 2014 and is situated about 150 meters from the avenue to la Gare with its busy shopping street. 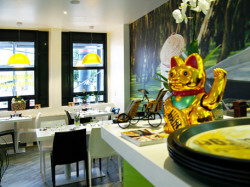 It focuses on Vietnamese and Cantonese specialities and as such is the second project of the owners of Kimchi. It has a modern and clean interior kept in white and refreshing light green tones. On the menu are numerous tasty dishes but we particularly liked the appetizing phos (noodle soups) which are healthy and will leave you feel refreshed. Customer service could still be improved but Little Saigon scores through its delicious dinners with traditional Vietnamese cuisine. 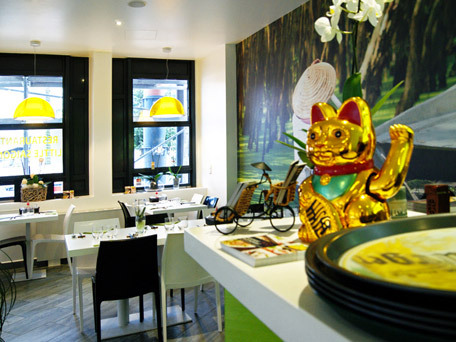 If you want a taste of Vietnam, Little Saigon is surely going to transport you there and bring a piece of the exotic south-asian country closer to home. Try the Pho Bo, as such a culinary highlight from the north of Vietnam, but which Little Saigon nevertheless gets just right with star anise, ginger and black cardamon.